In the early 2000s, Stewart Butterfield tried to build a weird, massively multiplayer online game, but the venture failed. Instead, he and his co-founders used the technology they had developed to create the photo-sharing site Flickr. After Flickr was acquired by Yahoo in 2005, Butterfield went back to the online game idea, only to fail again. 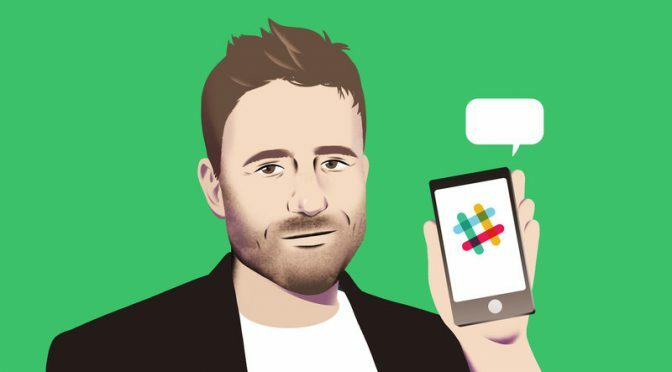 But the office messaging platform Slack rose from the ashes of that second failure — a company which, today, is valued at over $5 billion. Click through to the Audio Recording of the Interview. A natural progression of the LinkedIn platform enables companies to screen / interview candidates using live, video chat sessions available within the expanded LinkedIn platform. Companies may be able to more accurately filter candidates with this screening process. Live video chat / interview sessions with the candidate and the employer may be recorded, and linked as an ‘artifact’ of the posted role. For each video chat session, the employer may ‘bookmark’, in real time, their HR question, and ‘bookmark’ the candidate’s answer. Video interviews may be automatically parsed for the bookmarked Q&A, and record the conversation to text. HR may perform the initial interview screening, and then forward on the video session, and transcribed Q&A text to the hiring manager. The hiring manager may toggle through each Q&A, read and/or play the interview of that section. Based on the review of the candidate Q&A, the hiring manager may select to move forward with the candidate to next steps (e.g. face to face), or reject the candidate. The live, video chat interview session may be indexed for key words, and if both the prospective employer and the candidate allow, the indexed text may be searchable by other prospective employers or recruiters. The conversation’s full transcript, and/or the Q&A text are also available for search and review. Optionally, if the candidate has been rejected, they may choose to share their interview Q&A session with other potential candidates. This may be an issue for the employer, so both the candidate and employer must agree to have this available to either your connections or the public.